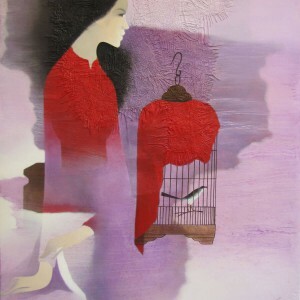 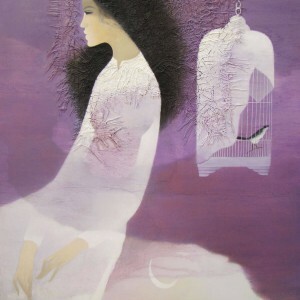 This is a typical Do Duy Tuan frame with his characteristic lady and bird in cage figures. 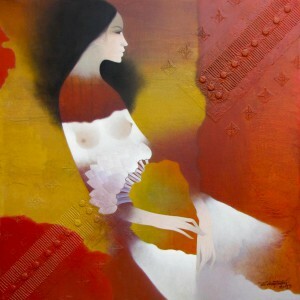 The color red signifies passion and love while the yellow-green, youth and hope. 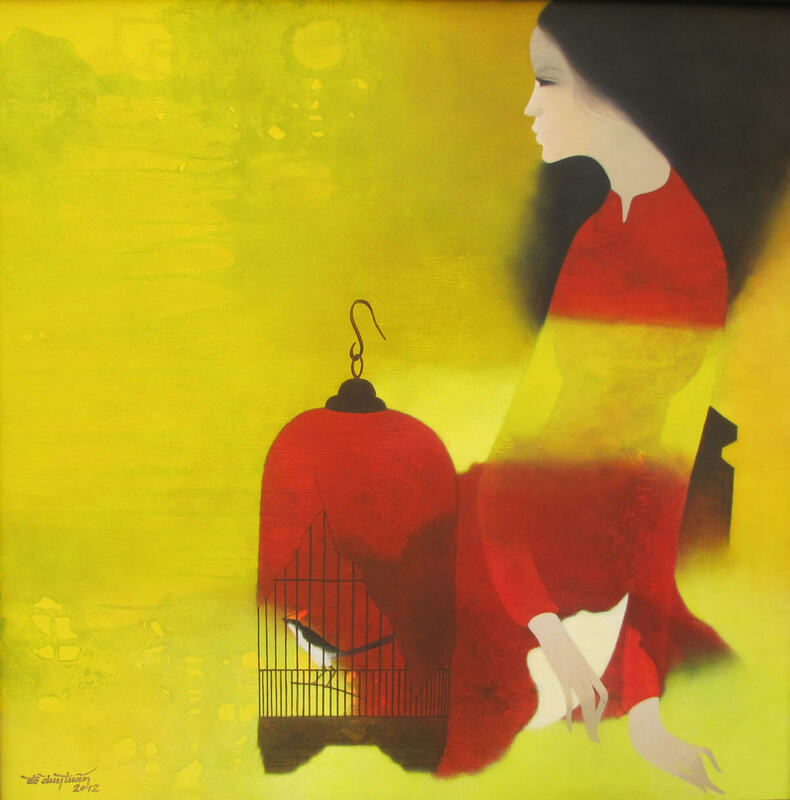 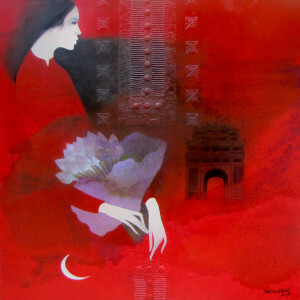 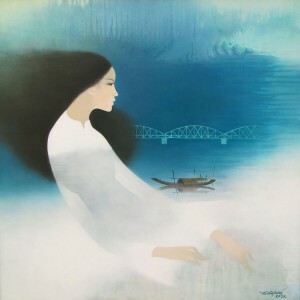 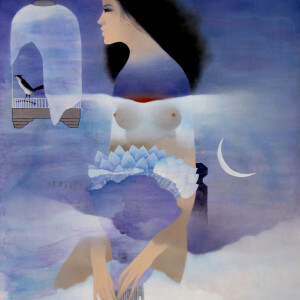 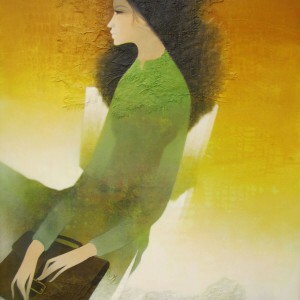 A good example of contemporary Asian art, this composition shows the dilemma of modern women caught between the traditional and modern roles she is expected to play. 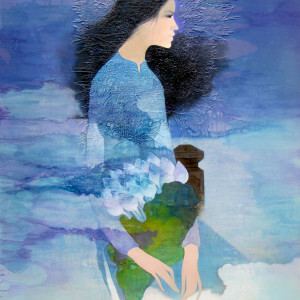 However, it is open to interpretations.